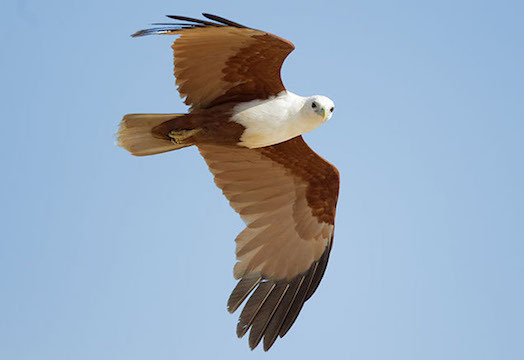 Australia lacks vultures but has many kinds of kites. 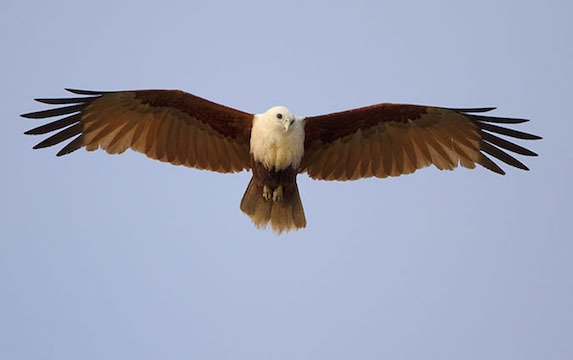 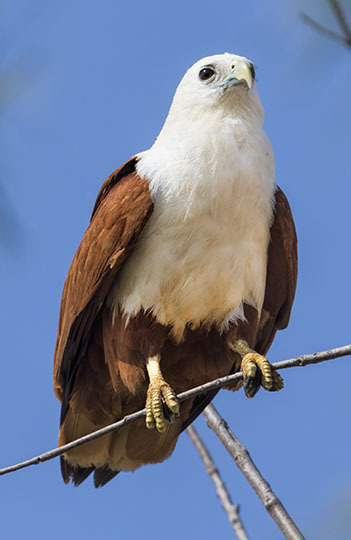 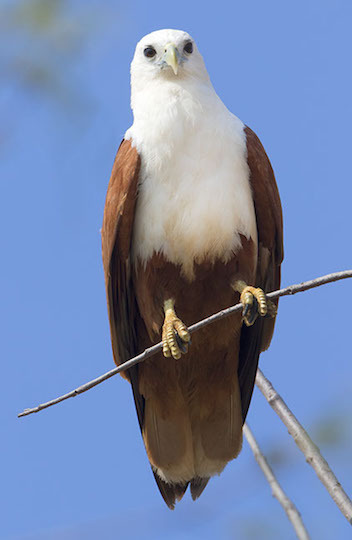 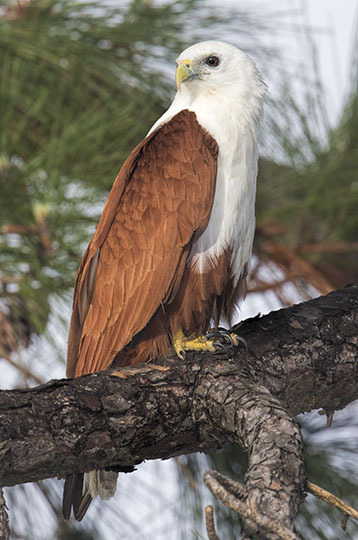 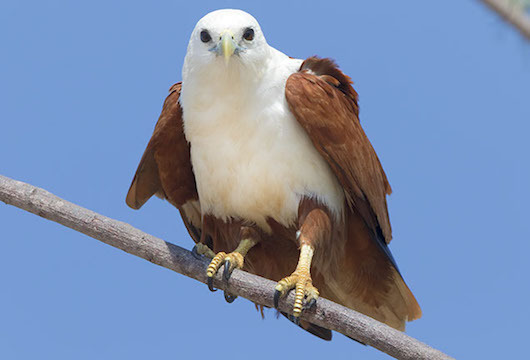 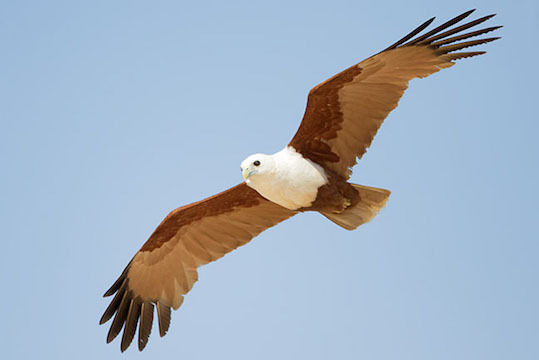 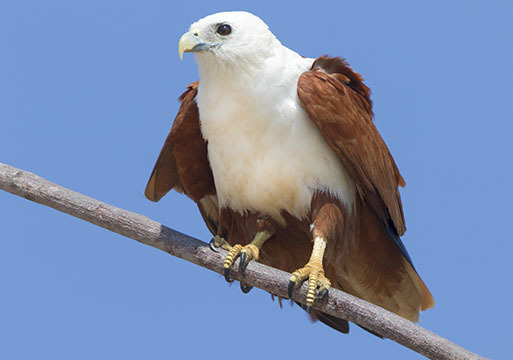 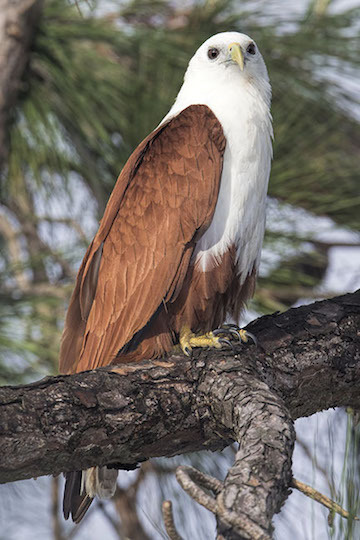 This one, the brahminy kite, looks and acts like a small sea eagle, catching fish and scavenging along the coast of much of northern Australia. 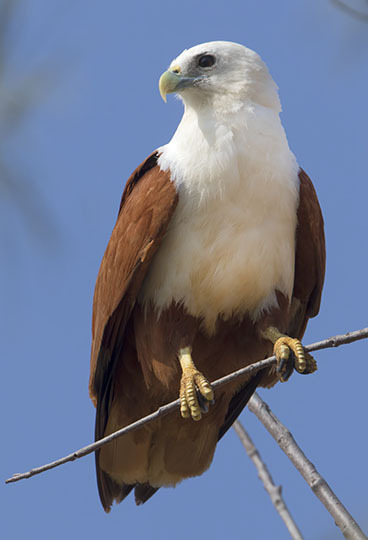 These were in Darwin in the Northern Territory, and in Cairns in North Queensland.